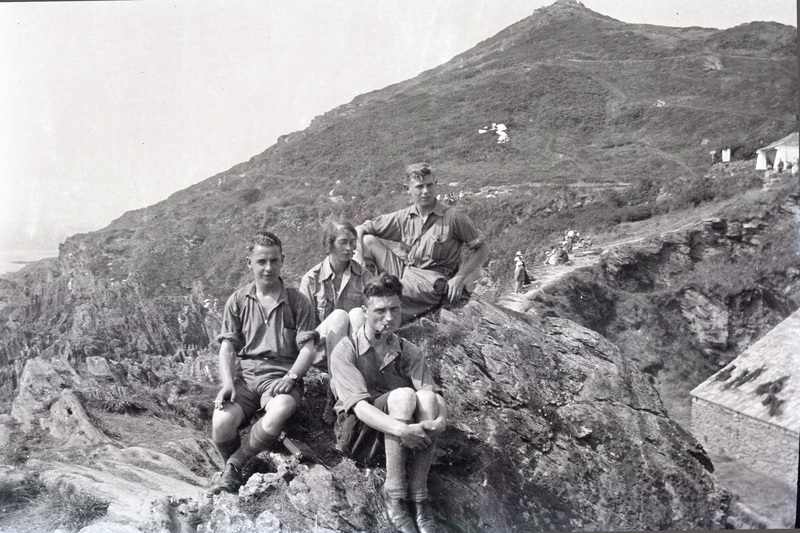 This entry was posted in Coast Path, Cornwall, Family, Memories, Photography, Travel and tagged Bicycles In 1932, Clothing 1930 & 1932, Elizabeth Harper, Gifts Of The Journey, Lansallos, Old Black & White Photographs, Percy Winchurch, Polperro In 1930 & 1932, Victor Winchurch. Bookmark the permalink. Love the now and then photos, my Mum does this too. I have seen a project where you find an old photo of yourself, stand in the same spot holding the old photo, it was very effective. Absolutely wonderful photos – then and now! Love how you do that 🙂 And makes me want to visit Polperro more than ever. Thanks for taking me back in time for a bit this morning. I will guess that John’s grandfather is the young man farthest left in the picture. 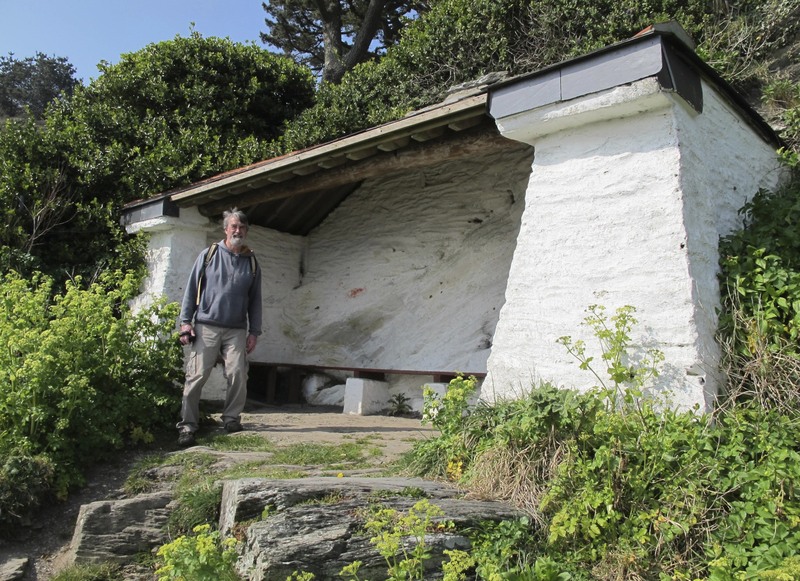 And, is the white structure a grotto of some sort? It is strange at the bottom… I can’t figure out what is going on there! Love the photos! How lucky John is to have such a rich history and creative wife! My guess…John’s Dad is the one with the pipe. Well, I just enlarged the picture and I have changed my mind, his Dad is on the far left with the cigarette. Thanks everyone for playing along and for your comments. John’s dad is the young man at the highest point on the rock. He’s the only one of the three men who’s not smoking. Lauren ~ the white structure is just a shelter to sit and watch the sea. E. Your photography is so amazing. Today I logged into your site first and so glad I did. It’s a great way to start my day, so I’m going to visit you every morning instead of the bank. Great series of pictures. I enjoy then & now pictures and these are fun (and lovely). 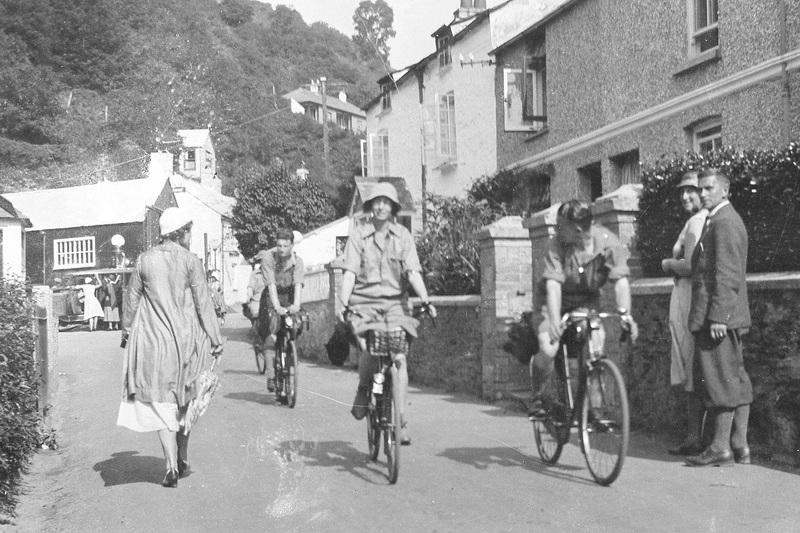 Just happened upon the cycling picture after searching for photographs of historic Polperro and it is lovely. 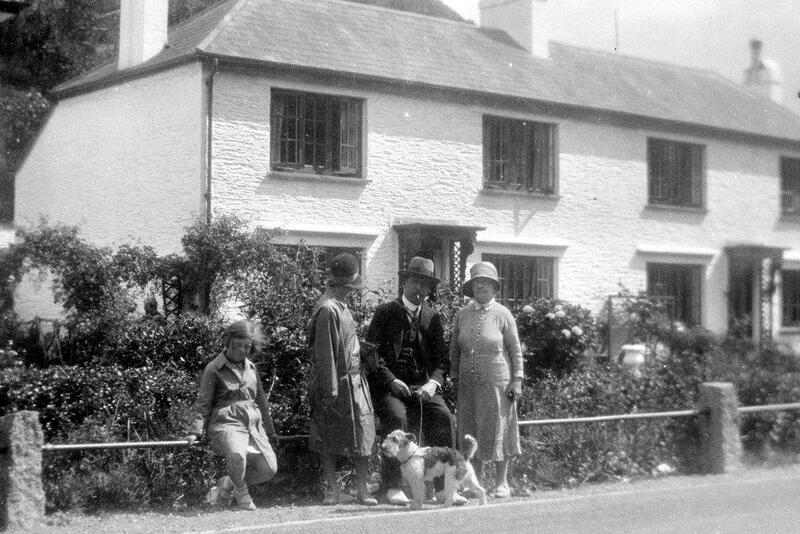 We have just purchased the cottage left of the photograph, not captured unfortunately, the person taking the photograph was probably standing right outside it. Would have loved to see it at that time.